India had a mixed day in Konya, Turkey, as they lost against the top-seeded Uzbekistan 3-1, only to display an excellent illustration of grit and resilience to bounce back against the second seed Russia the same day with the same score. Esipenko and Abdusattorov are arguably two of the finest players among those aged under 16. Arjun Erigaisi is quiet, and unassuming, one may not even notice him if one wasn’t particularly looking for him. Those are not the only similarities he and Batman shares, as 15-year-old Arjun single-handedly took out two of the most promising prodigies in the world in one day and played a key role in keeping India in contention. 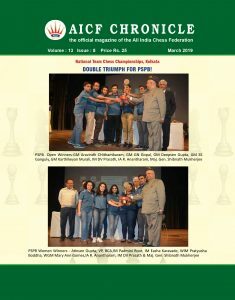 The first decisive result came in the encounter between Sankalp Gupta and the world’s second youngest GM Sindarov, Javokhir. The game went from the Steinitz variation in the Ruy Lopez to a King’s Indian like structure. Sankalp’s unfamiliarity with the structure showed despite putting up a brave resistance. But Sindarov’s attack crashed through. 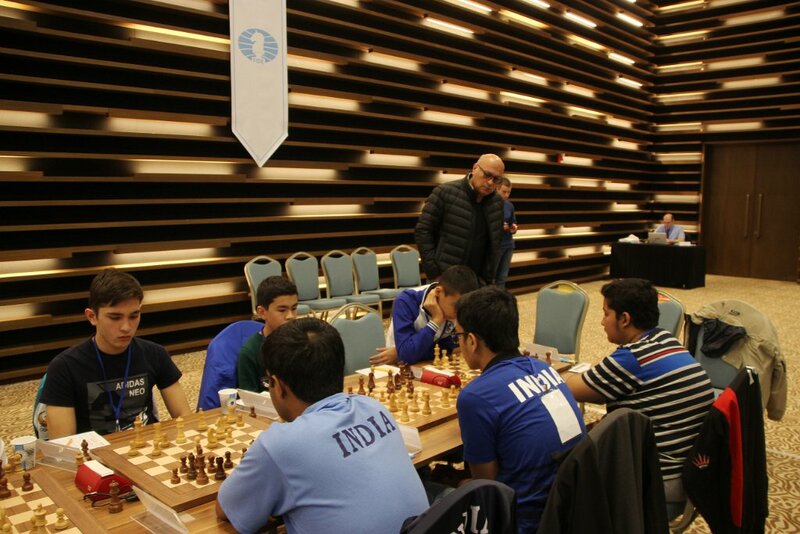 Arjun equalized the score with the White pieces against Abdusattorov. 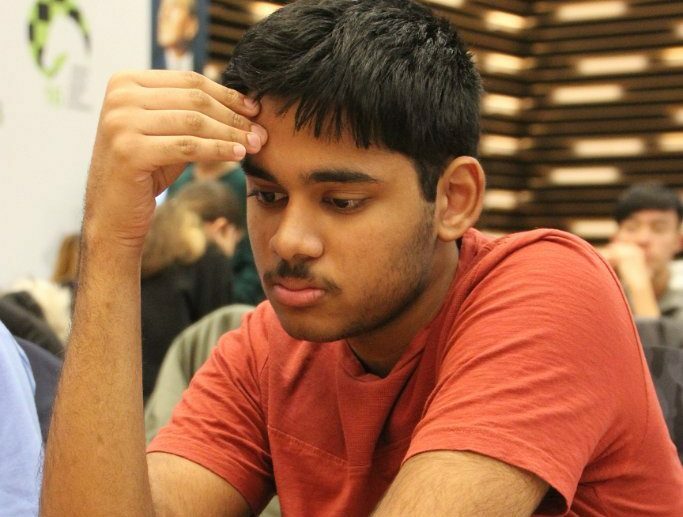 Playing 1.e4 for only the 2nd time in his career, Arjun gave an exhibition of his uncommon ability to grasp new things quickly and displayed his versatility. The game went into an Anti-Berlin Spanish that was quite similar to an Anand-Grischuk from World Rapid 2017. He got an edge out of the opening and kept up the pressure. The pressure induced Abdusattorov to blunder a piece and Arjun converted with flawless technique. On the second board, Iniyan had an off day with the Black pieces against Yakkuboev. He got into an unpleasant bind from the opening. He sacrificed a piece and defended resiliently, but his best efforts were unable to save the position. Koustav got a comfortable position in a French Tarrasch variation against the higher rated Vokhidov. His opponent attacked ferociously, but Koustav kept up the balance for the most part. With Iniyan defending a worse endgame, Koustav was under pressure to equalize the score. The pressure to create something from nothing ended up adversely for Koustav, while his opponent also simply calculated much faster than Koustav in the critical moments. Koustav defended in vain for more than four hours, but couldn’t prevent the inevitable. The Indian team were quite determined to bounce back and came to the game against Russia with a lot of motivation. Koustav was the first one to get a better position after he outplayed Murzin strategically in a King’s Indian 6.h3 variation. Ironically, he was also the first to lose. 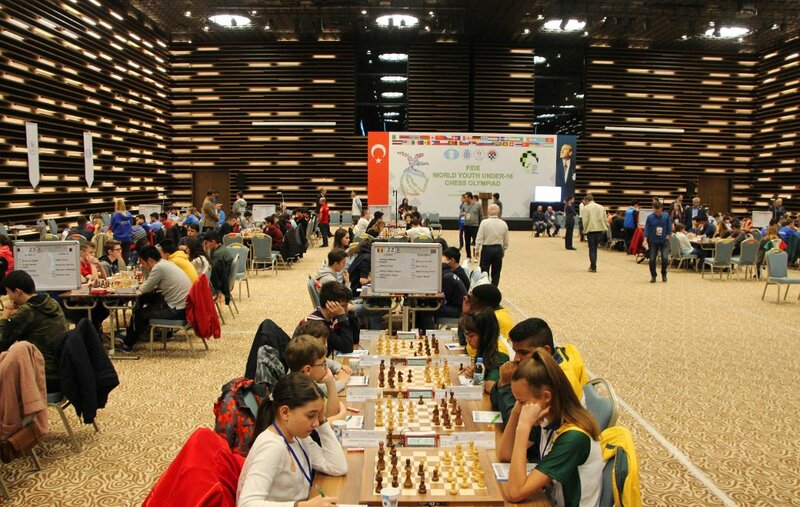 The match itself was quite tense with the first decisive result coming only after 3 hours and 25 minutes. It was quite an unfortunate result for Koustav who showed a good level of play throughout. Arjun equalized again, with the Black pieces this time. In the Semi-Slav Meran variation, his opponent Esipenko seemed to have misplayed the opening and got into a slightly worse position with White. Once Arjun got a little leverage, he never let go of it. He gradually kept up the pressure and once again converted with near flawless technique. He displayed a remarkably high level of play and his games are a delight to watch, especially from close quarters. Sankalp was quite determined to bounce back from the loss in the morning. In the Nimzo-Indian Qc2 variation, he once again showed sharp opening preparation and the game went into very complicated waters. He got worse pretty soon in the early middlegame, but his enormous will to win made the difference as he managed his time much better than his opponent. In the critical position, his opponent had no time to exploit his superior position and gradually lost the plot. Iniyan’s game seemed to flow from the beginning as he piled on the misery on his opponent Tsoi,Dmitry, whose tally stands at 0.5/5 after this game. In a Stonewall, Dutch, Iniyan won a pawn and wrested the advantage in the early middlegame. He kept the pressure on his opponent throughout and moved in for the kill at the appropriate moment. Unlike the World Youth Olympiads of the yesteryear, this tournament is quite competitive with a lot of contenders, as the meeting of two of the top teams – India and Russia on round 7 with 8 match points each clearly indicate this.